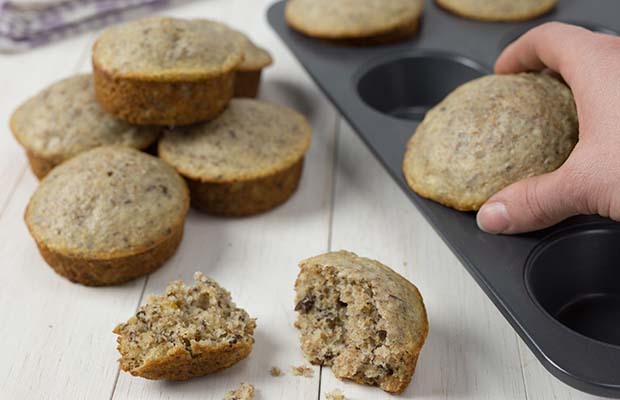 Start your day off with one of these Pecan Raisin Bran Muffins, they will keep you energized all morning! Preheat oven to 350 º F (180 ºC). In a large bowl, combine milk, all bran, eggs, sugar, oil, flour, baking powder, baking soda, salt, raisins and ground flax. Mix well. Fill greased muffin tins two thirds full. Bake 18 to 20 minutes or until a wooden pick inserted in the center comes out clean. Cool in tins 5 minutes before removing to cooling rack.